Dr Martin Dobson has been acting as an expert witness since 1995 and has considerable experience having completed hundreds of expert witness reports and represented clients in the County Court, High Court and in mediations. An Oak tree on neighbouring land fell onto this property causing substantial damage. 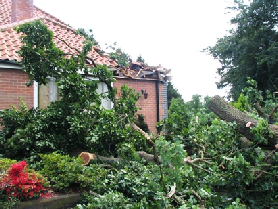 Martin Dobson Associates were instructed by the claimant to report on whether it was reasonably foreseeable that the tree would fall and whether or not the defendant had been negligent in their duty to inspect and maintain the tree. Dr Martin Dobson has a background in research and has over 30 scientific publications to his name. He has been an examiner in tree pathology for the ABC/Royal Forestry Society Professional Diploma in Arboriculture for 11 years. 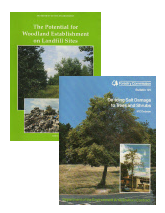 This is the premier professional qualification in arboriculture.